Every business needs its own website – there’s no doubt about that. But when you’re creating a business site, it’s not just about the content and design. Before you get to any of that, you’ll need to decide how to host your website and data. The main choice you’ll have to make here is between two options: a dedicated server or a cloud-based server. Before we go into which is better, let’s take a look at what each of these options involves. A dedicated web server refers to a physical server provided by a hosting company, which is rented to one business for their exclusive use. A cloud-based server, on the other hand, is accessed remotely from a cloud service provider. Choosing this type of server means renting virtual server space rather than a physical server. If you’re still confused about which to choose, read on for five reasons why adedicated server might be the best choice for your business. 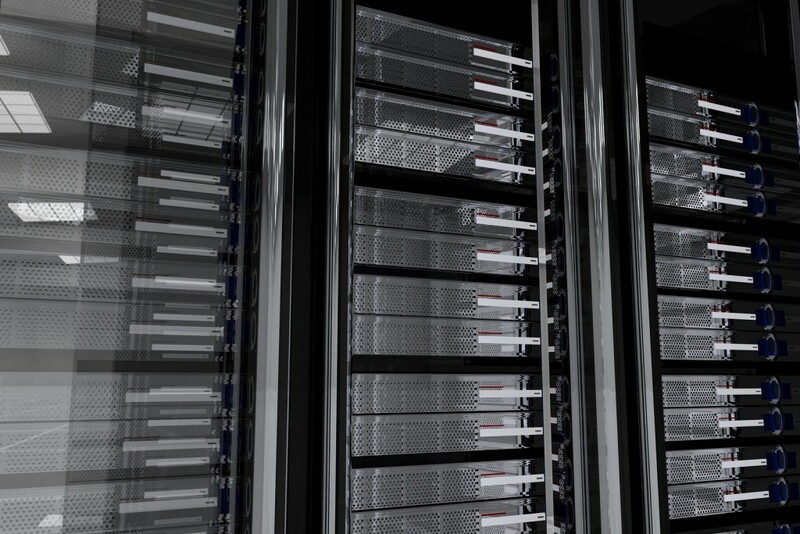 A dedicated server provides an exclusive, isolated platform with no contention for resources. It is for your business’ use and yours alone. This means that your dedicated server will perform faster and more efficiently than a cloud-based option, which is not exclusive; a cloud-based provider’s resources are shared between all of its users. Bear in mind that the majority of cloud-based servers are designed to offer you more storage rather than more efficient storage. So if it’s a high-performing solution you’re after, a dedicated server is what you should choose. Dedicated web servers are the most cost-effective option – and value for money, of course, is an important factor in any business decision. While it may appear to be more expensive than a cloud-based server, a dedicated server offers a much higher amount of resources, and the price is highly reasonable once you realise the true value offered by this type of solution. A dedicated server provider handles everything from building to maintaining the server equipment, and it’s their responsibility to fix any issues if something goes wrong. Basically, this type of hosting solution provides all the benefits of an in-house server, without the hassle of actually purchasing and maintaining a server yourself. With a dedicated web server, you are free to choose your own specifications. You can select exactly what sort of hardware you want according to the particular requirements of your website and its content and traffic. This means you won’t be receiving any fewer or more resources than exactly what your website needs. It also means that if your website hosting needs expand in the future, you’re able to upgrade your hardware to something that can handle your growing traffic. There’s a lot of flexibility in what you can do with a dedicated web server. It’s a customisable solution, which is what you want as a growing, changing business. For example, your dedicated server can be used to deploy custom virtualisation platforms and foster virtual machines and networks. This means your business has the ability to create separate virtual machines, each of which is able to run its own individual software environment. This is just one of the ways in which you can customise your dedicated hosting service to better suit your business’ needs. As we’ve discussed above, a dedicated server is a single-tenant solution, not a shared solution like a cloud-based server. If your business places high importance on compliance and security (and it should), a dedicated server is the only choice for you. The exclusive nature of a dedicated server ensures that your sensitive website data is confined to a single server. There’s much less risk of infiltration, interception or data loss than there is with a cloud-based server, which means peace of mind when it comes to the security of your business’ online presence. If you’re ready to start your website journey with a secure dedicated web server, make sure you seek out a leading local provider such as Web24. Choosing a reliable web service provider will ensure you receive the service and support you need to get your business’ website up and running.